Connecting people, ideas and resources to impact health. 2019 Grant Cycle Opens May 1st. Three Arches Foundation invests in advancing the health and well-being of the citizens of Lakewood and surrounding communities. By collaborating with influential partners, we look to fund initiatives that address access to care, including behavioral and physical health. It is with great enthusiasm that Three Arches Foundation embarks on 2019 following a productive first year. I’m pleased to share more about our ongoing efforts that have set the groundwork for long-term viability, sustainability and success as a community-focused grant making organization. 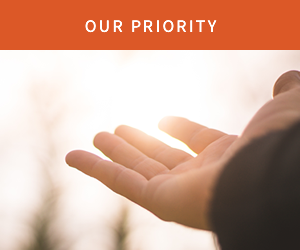 We fulfill our mission by investing in organizations that provide services and programs focused on impacting the health and well-being of those in Lakewood and surrounding communities with an emphasis on access to care, including behavioral and physical health. Our philanthropic legacy of caring for the community as Lakewood Hospital Foundation began more than sixty years ago with a mission to exclusively support the former Lakewood Hospital. Today, with a broader health-focused mission we continue to preserve this long history as Three Arches Foundation. Photo credit by Marcello Mellino, MD - Reflection of Care.